You may have already heard about it on our Instagram feed, but just in case you missed the news… we’ve started a Knitalong! Knit anything in our latest book, At the Spinnery!! There are option for socks to sweaters. Our KAL is hosted on our Ravelry Group page, and will run until May 31st. No need to stress about getting a larger project, complete, WIP’s are allowed. If you post to Instagram, be sure to tag us #greenmountainspinnery and #gmswip #atthespinnerywip And, feel free to tag each designer! 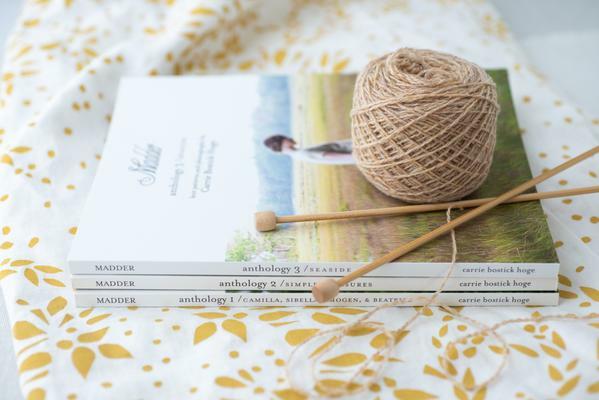 And if you need even more incentive to get stitching, last week the folks at Madder launched their Anthology Knitalong…encompassing all 3 volumes in their Anthology series! To participate, chose a pattern of your choice from any of the Anthology books and start knitting! You can find a comprehensive list of all Anthology patterns here on Ravelry. Use hashtag #anthologyknitalong on Instagram to show your progress, so everyone can follow your projects and share! If you’re not on Instagram and would still like to participate, you can share your knits and in progress projects in either the Madder or Making Ravelry groups. Everyone will be knitting away on our projects until Friday, May 17th, and the Making team will randomly draw three giveaway winners… You can find more information, here. We are smitten with her version of the Winter Escape Pullover designed by Carrie Bostick Hoge. We love how the eyelets of delicate lace trace around the wide v-neck, for a feminine touch that counter balances the rustic tweed and garter stitch cuffs and hem. She used Spinnery Cotton Comfort in the Iris color that provides a pop of intense color to chase away Mud season blues. Carrie’s pattern includes a generous range of bust sizing: 34¾ (38, 41¼, 44½, 47½, 50¾, 54, 57¼)” and calls for between 6 and 10 skeins of our DK weight Cotton Comfort. 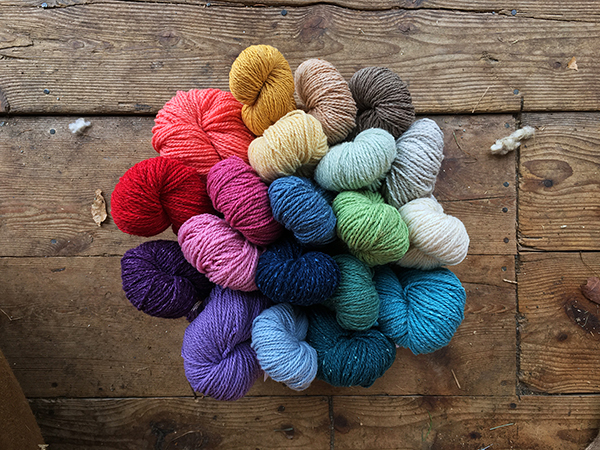 All 25 shades are in stock and could be on your needles in no time! We also have copies of Carrie’s 3rd Anthology, Seaside available for purchase here. We hope that you’ll join in the fun of the Madder Team’s Anthology Spring Knitalong. We hope that either (or maybe even both!) of these current Knitalongs may inspire you to get a new project started. We can’t wait to see what you have on your needles. Previous Previous post: Let’s play with Fall color!